The story of Jonah is one of those that we learn young. Show a child a picture of a man in a whale, and if he doesn’t guess Pinocchio he’ll probably say its Jonah. 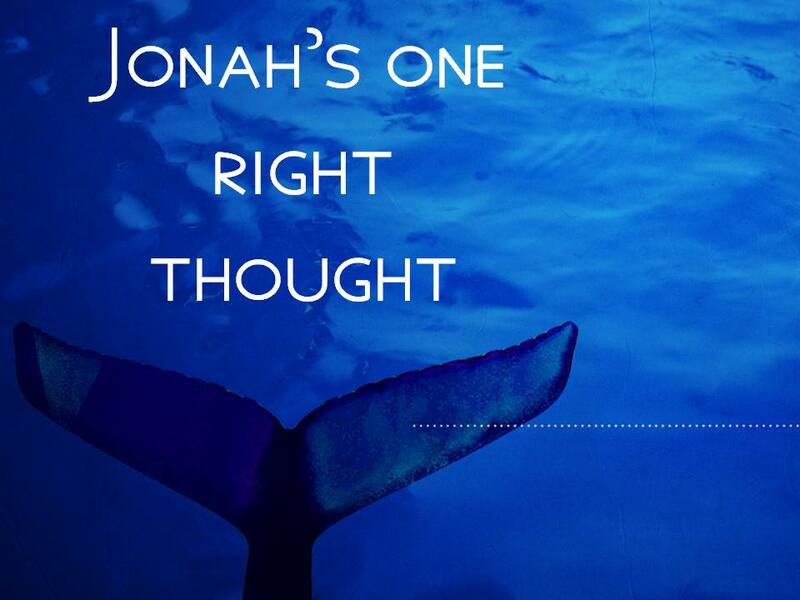 Yet it was only in the belly of the creature from the deep that Jonah actually thinks God’s thoughts (Jonah 2:1-10). It’s only from within a stomach lining that Jonah begins to grasp his need for grace. Unfortunately he never fully desires for his enemies to have that grace (Jonah 4:2-3). You might want to reread that verse. Read it slowly. It is life changing, but it doesn’t have to be. You see it was life changing for the Ninevites — they heard Jonah’s preaching and repented from their idol worship and turned to the living God (Jonah 3:8). It was life changing for the sailors bound for Tarshish. Having thrown Jonah into the Sea, the storm stopped, and they worshipped the Lord and got committed (Jonah 1:16). But it wasn’t life changing for Jonah; its effects on his attitude were only temporary. Jonah’s idol was his bitterness and bigotry. Certainly the Ninevites had done cruel acts to the surrounding nations. The pleasure they took in their violence and torture of others was renowned. But Jonah did not deem them as worth saving. He knew if he preached to them, they just might repent. And he knew if they repented, God in his grace would forgive. That’s why he got on the west-bound ship, when he should have been going east. He chose to cling to his worthless idol. What root of bitterness consumes you? A wrong committed against you in the past? Something that happened to you as a child? The unfaithfulness of a spouse? The deceit of a friend? Be careful of clinging to the pain of another’s wrongdoing, you might discover that you’re forfeiting the grace that could be yours. This entry was posted in Bible and tagged bigotry, bitteness, Jonah, unforgiving spirit.